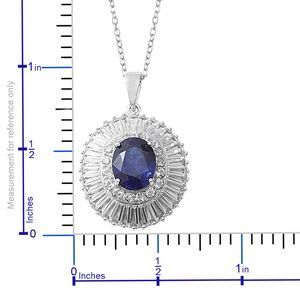 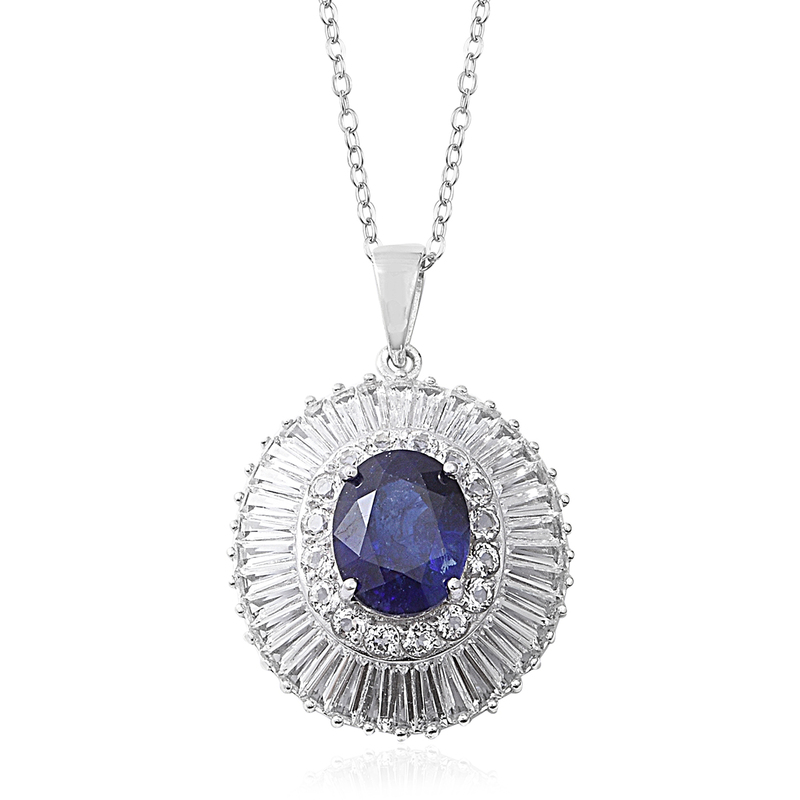 Look endearing with this Masoala sapphire pendant with an 18-inch princess chain. Sapphires are from the corundum group and rank 9 on Mohs scale of hardness, making them an excellent choice for everyday wear. 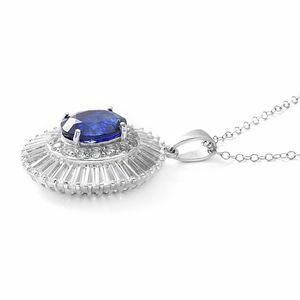 Masoala sapphires are fissure filled with cobalt blue glass allowing them to flaunt a mesmerizing rich color and keep their best foot forward. 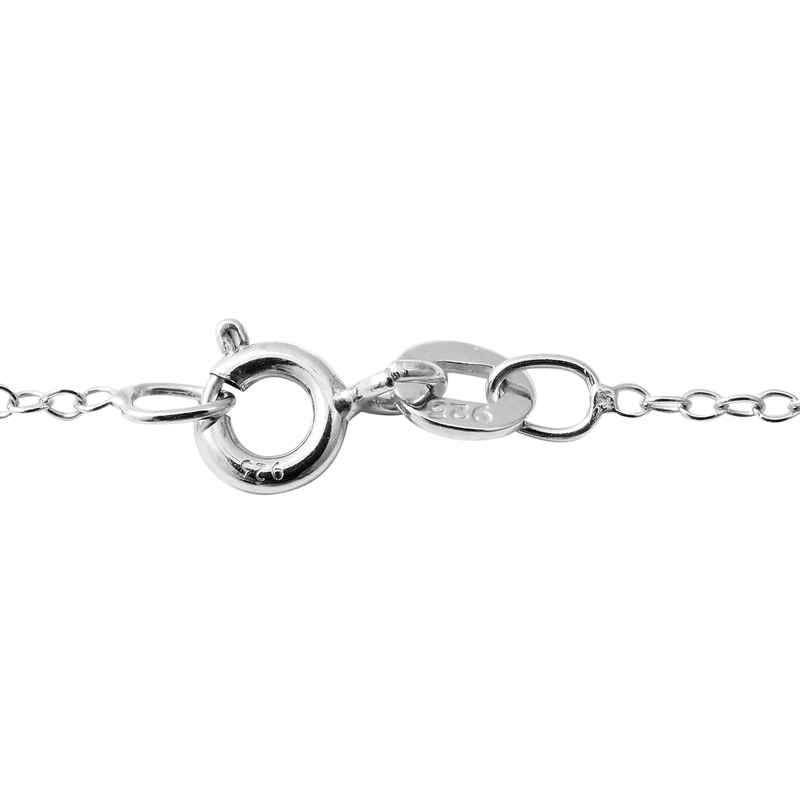 Enhanced with white topaz and crafted in sterling silver with platinum finish, this enchanting jewelry piece is perfect to embellish your fashionable outfits. Natural properties of mined gemstones offer a slight difference in color saturation, hue, and tone. 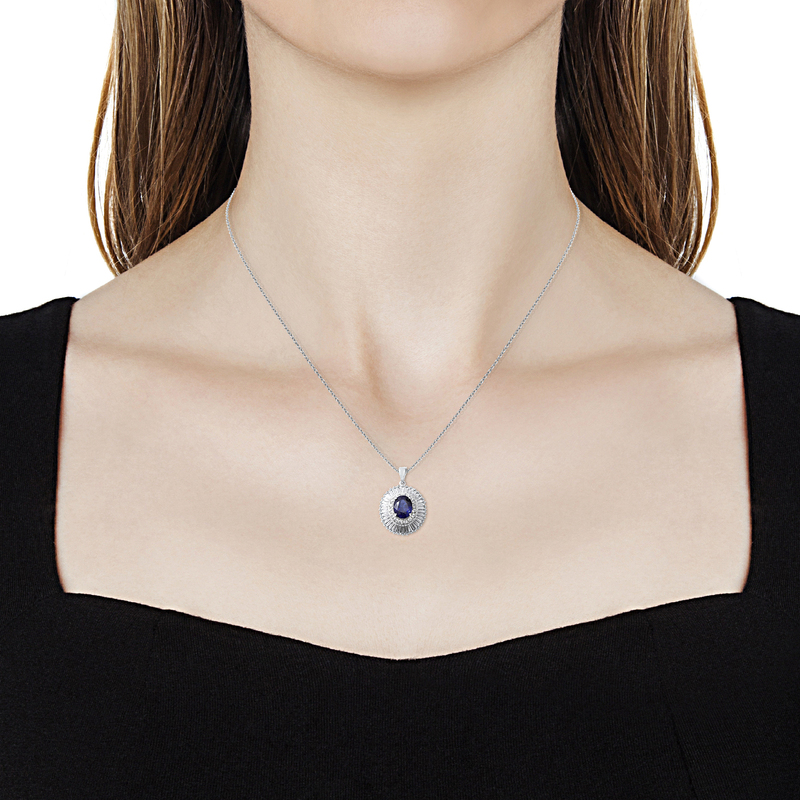 Gemstone images may not always capture these slight differences.